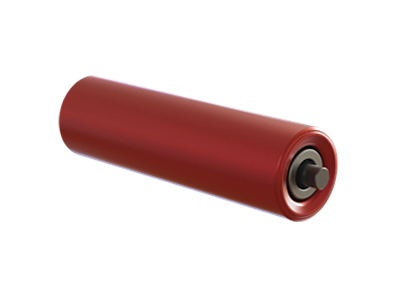 Our standard end cap rollers are designed for bulk materials handling and harsh environments. 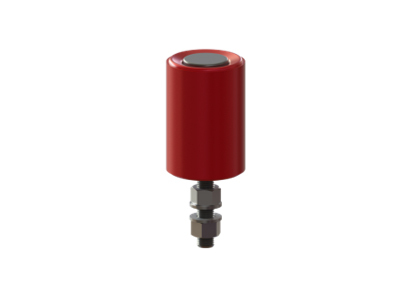 These robust rollers are equipped with strong end caps, effective labyrinth seals and precision bearings. It offers a wide range of roller diameters and bearing sizes. The standard product range includes diameter 51mm, 63.5mm, 88.9mm, 108mm, 133mm, 159mm, 178mm, 194mm and 219mm. 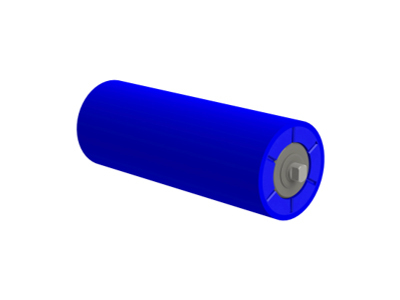 These rollers are available with bearings 6204, 6305, 6206, 6306, 6308, 6310 and 6312. 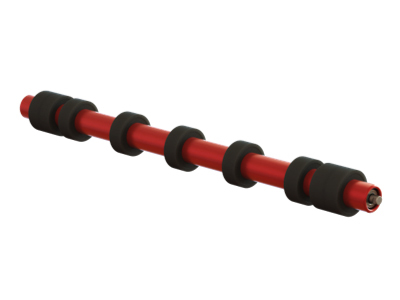 Our flow and end formed rollers are designed for the highest loading capacities and belt speeds. They come equipped with a flow formed roller shell, which delivers exceptional roundness and increased hardness. It also comes equipped with a hollow formed shaft that offers high bending resistance combined with relatively low weight. 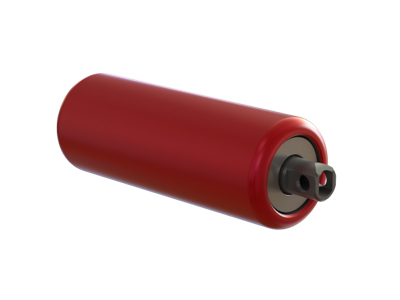 Our impact rollers are designed to absorb and reduce impact loads on rollers and belts. They come equipped with buffering rubber rings appropriate for even areas with the highest impacts. Polyurethane rings are also available for special applications. Our return rollers are equipped with spaced rubber discs to prevent conveyed material from caking on the roller, and wear on the carrying side of the belt. Depending on the application, various disc profiles, materials and disc arrangements are available. Our HDPE rollers are manufactured from high quality HDPE and offers the better and affordable solution in humid and wet conditions due the non-stick shell surface, which prevents build-up and reduces resultant vibration. HDPE gives also excellent resistance against many chemicals. 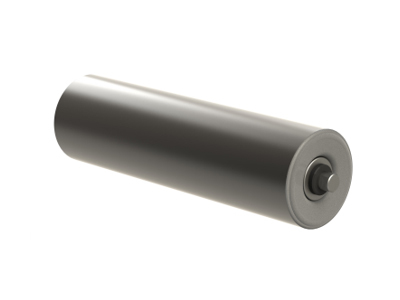 Our side-guide rollers are designed to offer long belt life and more efficient material transport. They are designed for installation in belt-tracking idlers or in areas where the belt’s side movement needs to be limited. Our steel rollers can be use also in belt scales. These rollers are manufactured to meet requirements of the belt scale manufacturer. 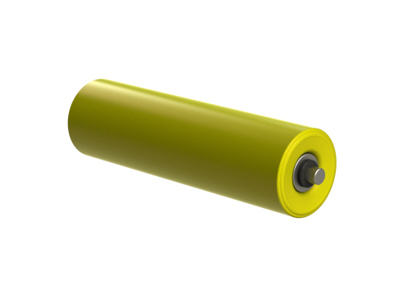 Our steel rollers are also available in balanced. 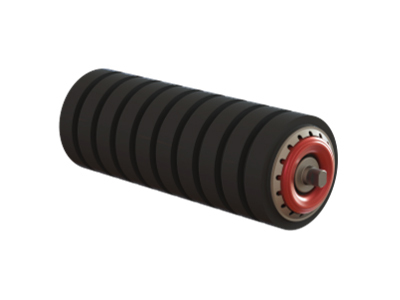 These rollers are available for demanding conditions with higher belt speeds. 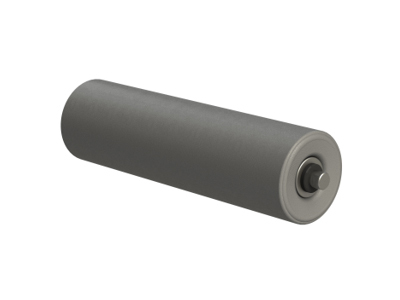 Our stainless-steel rollers are manufactured to operate in extremely difficult conditions. The end cap is always from solid. 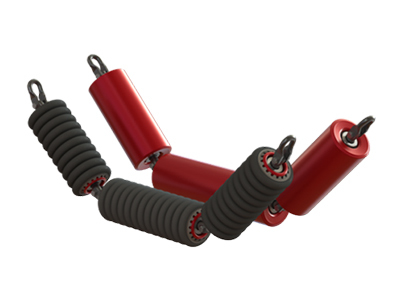 These rollers can be used also close of belt magnet avoiding the of the roll being detached. Our carry garlands cover belt widths from 400 to 2600 millimeters with standard troughing angles of 30°, 35° and 45°. The garlands are designed considering all loads from the conveyor belt, including lump impacts and overloads. They are equipped with end cap or end formed rollers.